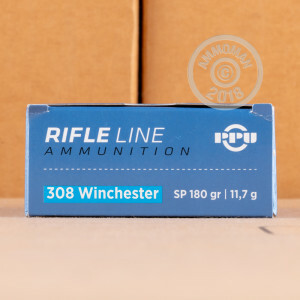 Priced for both target shooting and hunting, these .308 Winchester cartridges from Serbian manufacturer Prvi Partizan deliver good long-range accuracy and deadly expansion against deer, coyotes, or other game. 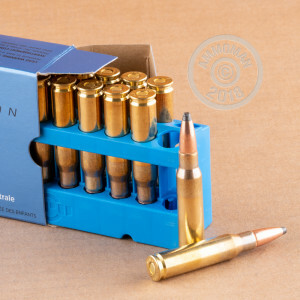 Each cartridge in this box of 20 fires a 180 grain soft point bullet. Prvi Partizan of Uzice, Serbia has assembled hunting ammo since the 1920s and is known for delivering good quality at a modest price. Their ammo uses non-corrosive Boxer primers and brass cases. Place an order for $99 or more today at AmmoMan.com to enjoy free shipping direct to your doorstep!